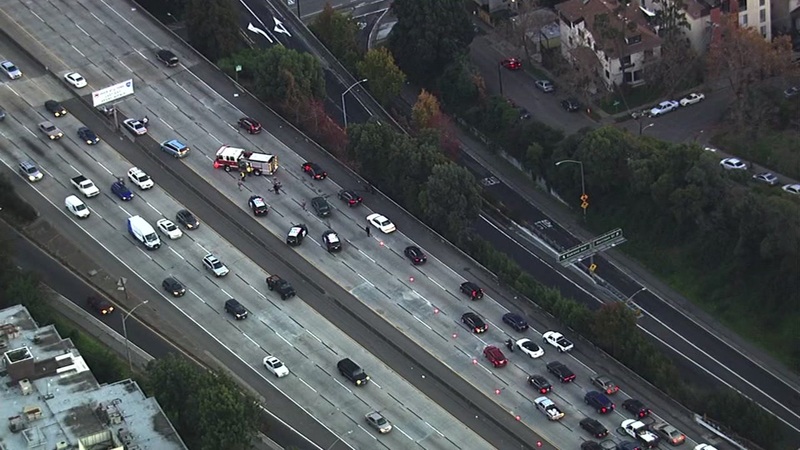 OAKLAND, Calif. -- Police and first responders rushed one man to the hospital following a motorcycle crash on Eastbound 580 near Harrison Street in Oakland that blocked three lanes. CHP says a car crashed into a motorcycle causing major delays. The motorcyclist was rushed to the hospital and has major injuries.